By Luis Bueno – RIVERSIDE, CA (Jan 30, 2019) US Soccer Players - First impressions are always important. 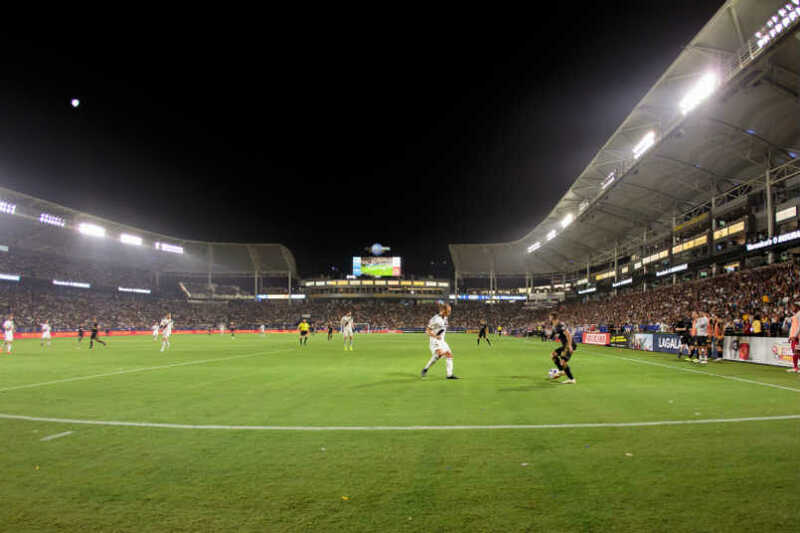 Under the heavy microscope the LA Galaxy is under, that first impression can become reality. If the first Galaxy signing under the club’s new regime is any indication, the team is going in the right direction. The Galaxy acquired Mexican winger Uriel Antuna on a year-long loan from Manchester City. The deal is the first for the club’s new general manager Dennis te Kloese. It reveals a new way of thinking, letting fans know de Kloese's vision for the club is already more than just talk. Still, it's how the team handles the current Designated Player situation that will determine whether that excitement is real or unfounded. LA's Designated Player situation is dicey. The club has four DPs in camp. They'll need to reduce that to three by March 1 to be compliant under MLS rules. This new front office and new coach means a new approach. It seems likely the group will figure it out in a way that is best for the club and gives the team a chance to compete in 2019. Over the last two years, player moves seemed hit and miss. Having faith that the front office would make the right signing was asking a lot of the supporters. Now, the team is moving forward with a fresh perspective and a new approach. That much is evident from the start. Antuna made an impression while playing for Mexico’s youth national teams. He was a part of Mexico’s Under-20 World Cup squad and debuted with hometown club Santos Laguna as a 19-year-old. He made enough of an impression to sign with Manchester City in the summer of 2017. Since then, he has spent time on loan with Dutch side FC Groningen, where he scored five goals over 25 total matches. The excitement of bringing in a young midfielder from a European club is not something new. In fact, the Galaxy did this same thing just two years ago as the Galaxy brought over Joao Pedro from Portugal. That signing was part of the missteps from the previous regimes. Pedro has underwhelmed and is himself on loan back in the Old World. Antuna's signing highlight the difference in Galaxy regimes. Of course, Antuna could flail and falter the way Pedro did. The move is attractive even if that does happen. Since it is a loan deal, there are no strings attached beyond this year. The club will not be stuck with the player the way it is with Pedro. The connection between Antuna, Liga MX and the Mexican national team, and te Kloese is clear. That familiarity should work for the Galaxy. More signings will happen. It will probably follow that the targets are well-researched and well-scouted and will be good fits for the club. Part of that will be due to new coach Guillermo Barros Schelotto. Two players linked with the Galaxy seem to follow that line. Diego Polenta of Uruguayan side Nacional and River Plate’s Ignacio Fernandez are players who could be on their way north. The latter seems more likely to happen, at least sooner, than the former. A roster change and makeover will not happen overnight. Currently, it's a work in progress. Once the roster highlights players te Kloese and Barros Schelotto brought in, the team will be better off for it, both in the short and long term. Part of the holdovers from the previous regimes though is an intriguing but challenging puzzle. The Galaxy have four DPs but only three DP slots. Zlatan Ibrahimovic signed a deal in the offseason that promises to make him the highest-paid player in league history. 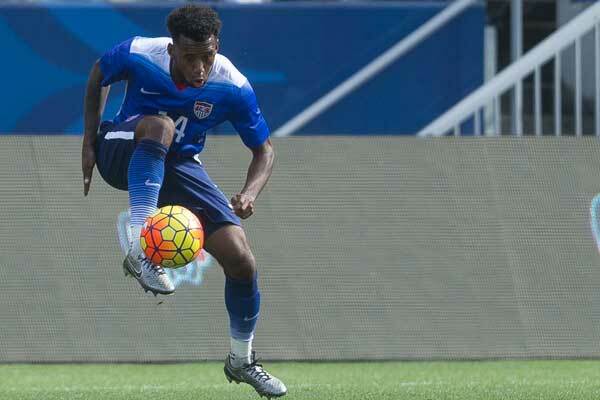 That bumps him up to DP status alongside Romain Alessandrini, Giovani Dos Santos, and Jonathan Dos Santos. Short of a contract restructuring, one has to go. It won't be Zlatan. The Dos Santos brothers look like a package deal. That leaves Alessandrini, who is the most accomplished of the three. Getting rid of Alessandrini though would be unwise. Alessandrini has been strong over the last two seasons, scoring 24 goals and adding 21 assists over that span. He has also been a bit of a leader and his loss would be a blow as well. If the club can figure out a way to keep Alessandrini, te Kloese will have earned his keep even more than he already has. Either way, the team is moving forward. The first signing of any kind under te Kloese was coach Barros Schelotto. That alone will have the players doing a better job than they did last season. The new attacking mentality Barros Schelotto is instilling will boost an already strong attacking side. If te Kloese is able to pull the right strings, the Galaxy could be a viable contender for the championship come playoff time. Antuna may or may not be a big piece of the puzzle if that happens. However, the thinking and connections behind the move that helped make it happen will. That is already evident even before the player steps onto the field.